Every day for the past few weeks I’ve been wearing my new I Love Juicy Couture perfume, and in that time I have, quite simply, fallen in love with it. I love Juicy Couture is the latest version of the perfume ‘I Am Juicy Couture’ which was launched in the summer of 2015. I Love Juicy Couture is both self-confident as well as mischievous. The theme says, “I don’t love lightly, half-heartedly, passively, timidly” and endorses a woman of playful nature. Top notes are of Mandarin, taffy apple and red currant. In the heart lies tiger lily, jasmine petals and pink honeysuckle. The end notes include patchouli, whipped amber and musk. This perfume is sheer heaven. 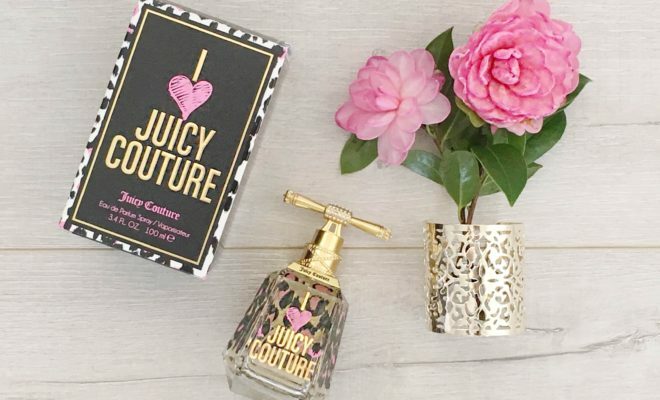 It’s no secret that Juicy Couture is one of my favourite fragrance lines – there’s not one I don’t love, and thank goodness I Love Juicy Couture doesn’t disappoint. 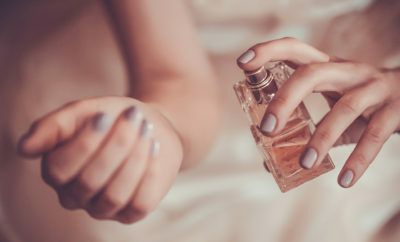 It’s everything a perfume should be, sweet, floral and playful, with a fantastic longevity that will see you through an entire day. While I Love Juicy Couture will be celebrated and loved by die-hard Juicy fans (yes, I’m one of them), I’m certain this new release will entice a whole new fan-base. There’s not been a day in the last few weeks that I’ve not received compliments on my perfume – a pretty good sign right?! The notes: fruity, sweet and white floral is enchanting with just the right amount of citrus. The floral-fruity composition is engaging and musks captivating. Staying Power: The fragrance will shower you with a long-lasting unconditional love when it comes to staying power. Three sprays on the neck and wrist will be more than enough for the whole day. Silage is tremendous and is the icing on the cake. I Love Juicy Couture will prove to be the must-have summer perfume – so good it’s damn near edible. This scent sounds divine. I really do not need any more perfumes (I wish haha) but you can’t go wrong with Juicy Couture.